How does this Prize differ from others for Arabic literature? Only novels are eligible for the Prize. Despite being a relatively young literary form in Arabic literary culture, there is an immense range and diversity of contemporary Arabic novels. These deserve a much wider audience in the Arab world and beyond. The Prize aims to encourage more reading and writing of good contemporary literature in Arabic and, above all, to see more Arabic fiction translated and published in other leading international languages. This Prize is distinctive in that it increases readership of Arabic literature not only in the Arab world, but also internationally through the publication and widespread distribution of contemporary Arabic fiction in translation. Who is behind this Prize? Who initiated the project? The idea for the Prize emerged during a meeting which brought together publishers from ‘East’ and ‘West’. The then President of the Association of Arab Publishers, Ibrahim el Moalem, and a leading British publishing figure talked of the regrettably numbers of high quality contemporary Arabic novels being translated into leading Western languages. The suggestion was made that a ‘Booker’-style prize (based on the highly successful Man Booker Prize) would be a good way to encourage recognition of high quality Arabic novels and to ensure increased translation of such literature into world languages. 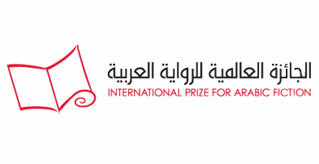 With the advice of the Booker Prize Foundation in London and initial funding from the Emirates Foundation in Abu Dhabi, a steering committee of Arab and international literary experts, publishers and journalists was first established to advise on the set-up and structure of the Prize. The sponsor is now TCA Abu Dhabi ( Abu Dhabi Tourism & Culture Authority), based in Abu Dhabi, United Arab Emirates. The six shortlisted authors receive $10,000 US Dollars each, and the winner receives an additional $50,000 US Dollars. What is the management structure of the Prize? The Prize is managed by an independent Board of Trustees representing an international mix of writers, experts in Arabic literature and translation, and figures from publishing, media and academia. They are drawn from across the Arab world and beyond. Where a trustee is an Arabic publisher, he/she will only serve a single 3 year term of office. For a list of current Trustees click here. The Administrator is Fleur Montanaro. She has a BA in Arabic from SOAS, University of London, a Diploma in Public Service Interpreting and an MA in English Literature from Oxford University. She has worked for various charities in the UK and internationally in addition to undertaking freelance work as an interpreter and translator. The Administrator reports to the Board of Trustees. The Chairman of the Board of Trustees is elected by the Trustees, and is currently Professor Yasir Suleiman CBE. The Board of Trustees appoints each year's judges. The judges are responsible for deciding which novels will be longlisted and shortlisted, and which will be the overall winner. The Board of Trustees was originally selected on the basis of the recommendations of a steering committee of experts, publishers and journalists from across the Arab world and beyond, which was established to advise on the intellectual and administrative frame-work of the Prize. Now, it is the responsibility of the Board of Trustees to recruit its new members when vacancies arise. A full list of Trustees can be found here. Judges remain anonymous until the shortlisted books are announced. This is in order to ensure the independence and integrity of the selection process. The Board of Trustees is responsible for appointing the judges (including designating its Chair). Each year’s judging panel will include a mix as to age and gender and is drawn primarily from across the Arab world. However one will be an international specialist who is a sophisticated reader and fluent speaker of Arabic, but who is not an Arab. This judge brings an important, distinctive, perspective and sensibility to the judging process. Publishers may not serve as judges. Writers (so long as they are not competing for the Prize) as well as academics, critics, journalists and other public figures with a demonstrable interest and engagement in literature may all be considered to serve as judges. Are works written in other languages and translated into Arabic eligible? No. All works submitted must be written in Arabic. No. The Prize is for prose fiction in the form of a novel. How does one submit a work for the Prize? Up to three novels published in the previous year may be submitted by publishers. Authors cannot submit their work directly. The procedures and timelines for submission of published works are issued every year to publishers and released to the press. Those which are applicable to the current year are can be found here. Note that judges may call in a novel if it has not been submitted by a publisher. How will the Prize ensure that new authors and diverse voices are heard? The panel of judges changes each year and the Board of Trustees is committed to ensuring that each panel includes women and those below the age of 50. There is also a commitment to securing a panel from a diverse regional background, including the non Arab “international” judge. In this way, changing personnel and sensibilities create a judging environment where the voices of young and new writers, as well as of more marginal or minority groups, are heard alongside established novelists. In addition to the Prize itself, in 2009 IPAF established its annual Nadwa (writers’ workshop) for emerging writers from across the Arab world which takes place each year in October or November. The Nadwa was the first of its kind for Arab writers. Each year it results in up to eight new pieces of fiction by some of the Arab world's most promising authors. A number of former Nadwa participants have gone on to be shortlisted and even win the Prize. Since 2009 the Nadwa has taken place in Abu Dhabi under the patronage of His Highness Sheikh Hamdan bin Zayed Al-Nahyan. The Prize is often referred to as the ‘Arabic Booker’. Does this mean it is associated with the UK’s Man Booker Prize? This nickname appears to arise from the way some commentators have perceived the fact that the Prize has received support from the Booker Prize Foundation, the UK charitable foundation which is responsible for awarding the Man Booker Prize. The Booker Prize Foundation’s support has been in acting as a mentor to IPAF since its inception. But the Foundation and IPAF are entirely separate, independent organisations, and the prizes (IPAF and the Man Booker Prize) are likewise entirely separate. Use of the description “the Arabic Booker” was not instigated, and is not endorsed or condoned by IPAF or the Booker Prize Foundation.